Many people get into martial arts because a family member started training first. In this case, it’s usually a relative someone looks up to: an older sibling, a mother, or father. I know several people for whom the latter was the case. No one in my (immediate) family ever had an interest in martial arts, unfortunately. But I found other hobbies to share with them. My dad, for example, is an avid tennis player. He signed me up for lessons when I was a kid, taught me the finer points of the serve, and spend hours practicing with me on weekends when I played for my high school. Tennis was our thing. Every Father’s Day, I make a point to get my dad something tennis-related. Sometimes it’s just tennis balls; other times I get fancier with tennis books, racquet clips, or tennis clothing. This theme isn’t just important because Dad likes tennis – it’s a reminder of the connection we have through the sport. I know that for many of our readers, martial arts is the connection they have with their dad. 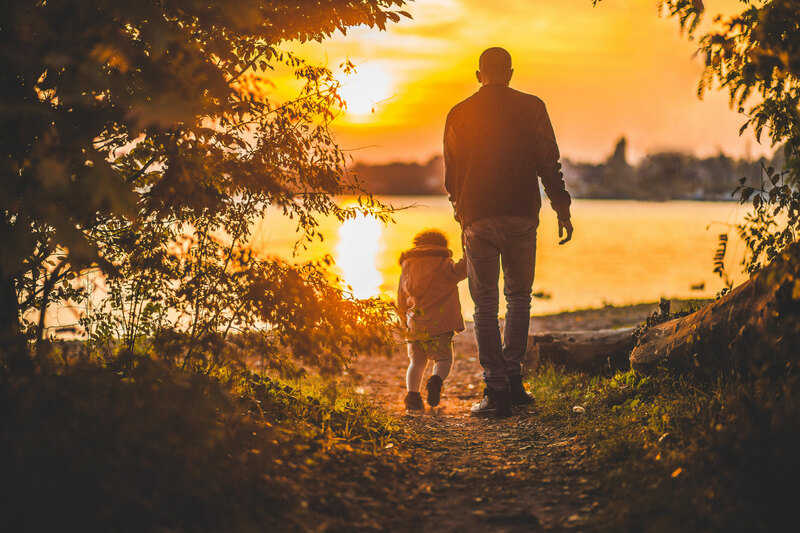 This year, skip the ties and tools and fishing gear for Father’s Day. Give your dad a gift that’s a thank-you: for introducing you to your art, and sharing rides to the dojo. For not letting you quit when you thought you wanted to. For not letting you win in sparring, because he knew you could be so much better if you pushed yourself. For attending tournaments on the weekends, and for showing you what you could accomplish through martial arts, because he’d paved the way as a role model. 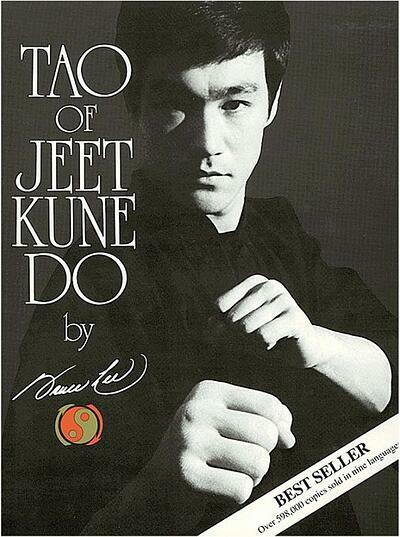 This book was compiled from the writings of JKD expert and martial arts icon Bruce Lee, and published after his death. It contains his core philosophies on martial arts, as well as some of Lee’s sketches and poetry. Because this book is about the mindset of martial arts, not a specific guide to learning JKD, it’s a great gift for any dad, no matter which martial art he trains. 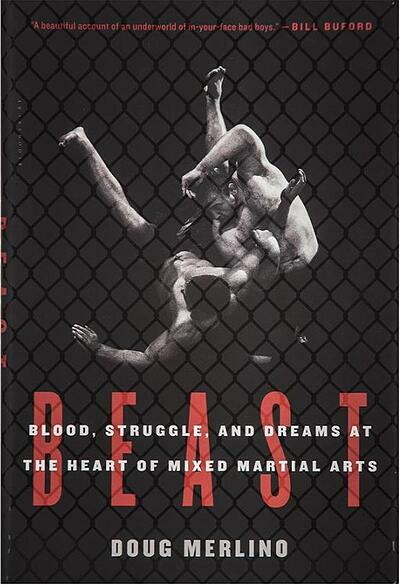 If your dad trains in, or is a fan of, MMA, or just wants a thrilling true-story read, the book “Beast” is a great gift for him. The author, journalist Doug Merlino, decided out of the blue that he’d like to know more about MMA. Instead of just conducting interviews, he spent two years living and training with professional and up-and-coming fighters at the American Top Team academy in California. He also follows the stories of several fighters through their highs and lows in the ring, as well as their personal lives. Bonus idea: At the beginning of the book, Merlino is unabashedly a newcomer to MMA (which is partly what makes his perspective so unique). On the inside cover, write a note that says something like, “Remember when we were this new to martial arts?” Add a “LOL” for emphasis, if your dad will know what that means (I’m pretty sure mine doesn’t). 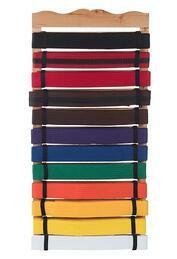 If your dad trains in a martial art that uses belts to distinguish ranks, a belt display is an ideal gift. You dad probably won’t buy one for himself, even if he wants one (he might think it would look like bragging), but if it comes from you, he’ll be happy to have it! Even if he’s only recently started training and is on his white belt, the display is still a great gift: you’re saying that you’re looking forward to things to come. 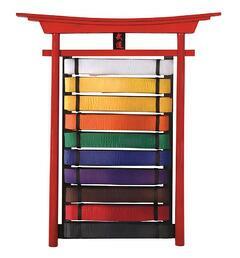 There are several styles of belt display available, like this cylindrical one (clean and simple), a Tori gate-styled display (elegant and traditional), and this wall-mounted display (classy and decorative). You know your dad’s tastes, so you can choose one you know he’ll love! Bonus idea: If your dad already has several/all of his belts, and you know where he keeps them, and have a way to get access to them without him knowing, add them to the display before giving it to him! The fact that you took the time to arrange them makes the gift even more meaningful. Maybe your dad is a weekend warrior, who works an office job during the week and heads to the dojo when Saturday rolls around. This 9” bobblehead looks just like his favorite Wavemaster training bag in miniature. It’s perfect desk décor – plus, when people ask what it is, it’ll give him a chance to talk about martial arts at the office. There are three certainties in life: death, taxes, and that dads love T-shirts. Also, you and I both know that dads will wear their favorite tees until they are more hole than shirt. For Father’s Day, go ahead and get your dad a fresh tee or two, and let him retire that one shirt (you know, the one that he got free for donating blood at the Red Cross back in 1992?) to the rag bin. I recommend shopping around the Century Apparel section for tees. 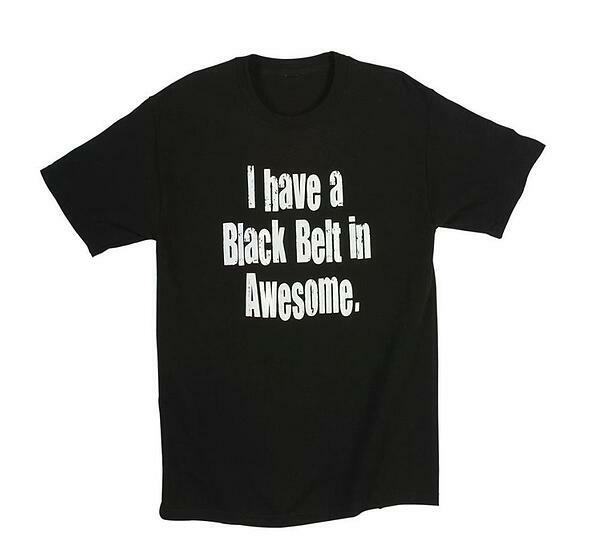 You can find shirts specific to Brazilian jiu-jitsu, karate (there are a few of these), krav maga, and more, as well as other non-art specific tees, like this Black Belt in Awesome one, this one with the cover of the first-ever Black Belt Magazine on it, or this minimalistic kicking figure tee. Bonus idea: Throw in some Kicking Jeans for a complete outfit! In fact, go all out and get some tatami sandals too (and some socks. Dads love wearing socks with their sandals). Is your dad’s gi headed down the same path as his shirts? 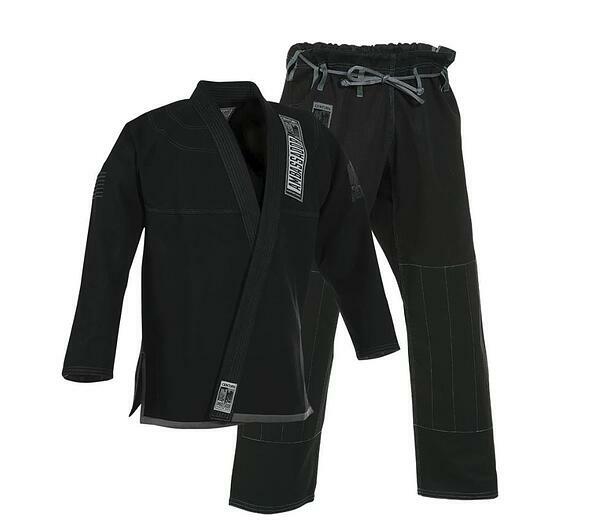 If he needs a new Brazilian jiu-jitsu gi, get him a really nice one, like the Ambassador. Or, if he does karate, get him a Tokaido uniform. Bonus idea: Include a card that says you think he’s a “GI-reat” Dad! He will chuckle. I promise. At the end of the day, none of these gifts can hold a candle to spending actual in-person time with your dad on Father’s Day. If it’s been a while since you’ve trained together, and your gym is open Father’s Day Sunday, why not go in and roll or spar, or even see if you can get a private lesson and learn something new? If you live in different states and can’t visit in person, a phone call is also great!